YouVersion’s 21-Day New Year Challenge: You could win an iPad Air! We know how much it means to spend time in the Bible every day — and how challenging that can be when life gets busy. One of the best ways we’ve found to form a daily discipline is to complete one short Bible Plan after another in the Bible App. That’s what the 21-Day New Year Challenge is about: helping you lock in a daily habit of connecting with the Bible. To help you keep inspired, anytime between January 1 and January 21, if you tweet which Plan you’re reading during the Challenge — with the hashtag #BibleFor21 — you’ll be entered to win one of the following: a YouVersion prize pack*, an iPad mini, OR an Android Nexus 7 tablet! We’ll give away prizes each week all throughout the Challenge. Tell your friends! 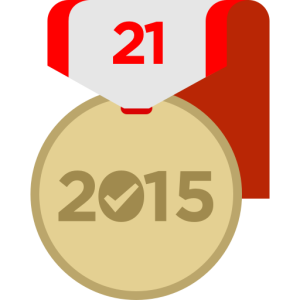 If you complete the day’s selections from at least one Bible Plan each day from January 1 to January 21, you’ll also earn a special 2015 21-Day New Year Challenge badge on your YouVersion profile — and be entered in a special drawing for the grand prize: an iPad Air! During the first 7 days of the Challenge, each day, we’ll send a new tip to your device that shows you a simple way you can use the Bible App to get into God’s Word. We’ll devote a special blog post to them, adding one each day as we reveal them — so you’ll want to check back each day to see the next one. Make sure you have the Bible App installed on a device or devices that you’ll be able to use from January 1 to January 21. If you haven’t already, sign up for your own free YouVersion account. Sign up for a Bible Plan (or more than one). From the Plan’s page inside the Bible App, tap the share icon and share your plan on Twitter. Don’t forget to include the #BibleFor21 hashtag, so we can find your post and enter you in that day’s drawing! Every day from January 1 to January 21, go to the Plans section of your profile and complete the daily selection for at least one of your plans. As you complete your selections, make sure they get checked off each day. Note: If you start a Bible Plan before the 21-Day New Year Challenge begins on January 1, that’s great! Just keep going, and make sure you complete at least one day, every day between January 1 and January 21 — and that each day gets checked off. *Tablets available for shipping within the continental U.S. only. 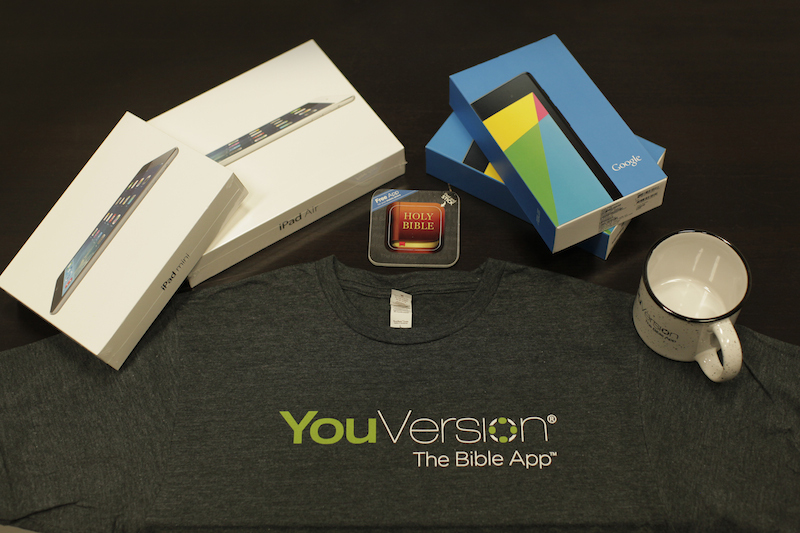 Prize packs include a YouVersion T-shirt, an exclusive YouVersion mug, and Bible App sticker sheets. Winners will be contacted with details for how to receive their prizes. 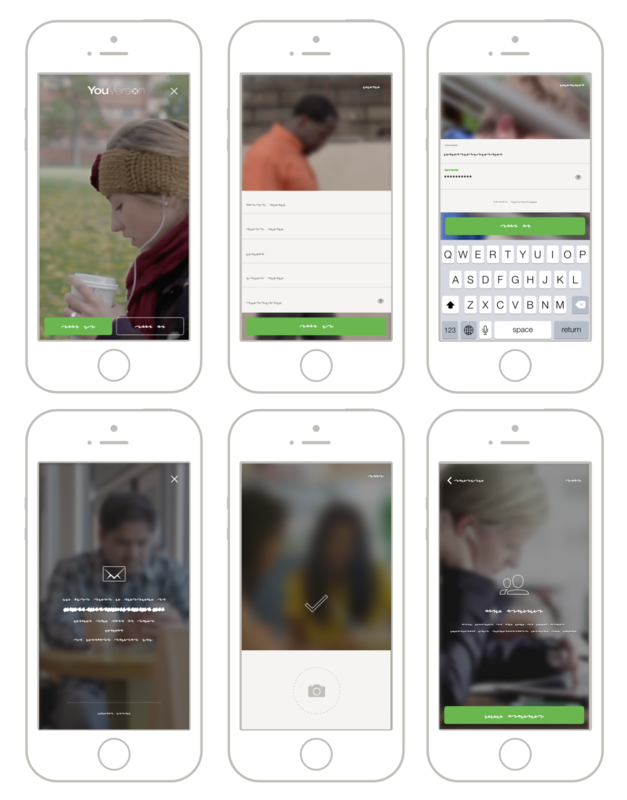 The Bible App has an all-new sign up process that’s inviting, intuitive, and quick. We worked hard to have it ready in time for the holidays, when you’ll have more opportunities to invite friends to try the Bible App. The Bible App makes sharing your faith easy. Just show a friend what it looks like on your device, and how you use it. If they like it, offer to help them install it. Then the new intro will welcome them warmly. When people receive new devices as gifts, most of them want new apps they can try right away — especially free ones. And a free YouVersion account gives them all the Bible App has to offer: Friends, Bible Plans, customizable Highlights, Bookmarks, Notes…and more! The Bible App has already been installed on over 160 million unique devices, all over the world. Developed by YouVersion, the Bible App™ offers more than 1000 Bible versions, in more than 740 languages. And it’s always completely free. Tap the Verse of the Day to see it inside the Bible App. Tap the share button to share the verse through Facebook, Twitter, Path, email, or SMS. Tap the reference to return to the last chapter you were reading in the Bible Reader. Swipe down the Notifications Center. Tap Today at the top of the screen, and near the bottom, tap Edit. Near the bottom of the screen, tap the Bible widget to activate it. It moves near the top of the screen, where you can slide it up or down. Verse of the Day is also available on Android as a Widget. Just go to your device’s Widget option, find Verse of the Day and drag it to your home screen. Android OS versions vary on how the widgets menu is accessed. Generally you can long-press the home screen until you get the menu option, then select Widgets. The Bible App has been installed on more than 160 million unique devices, all over the world. Developed by YouVersion, the Bible App™ offers more than 1000 Bible versions, in more than 740 languages. And it’s always completely free. 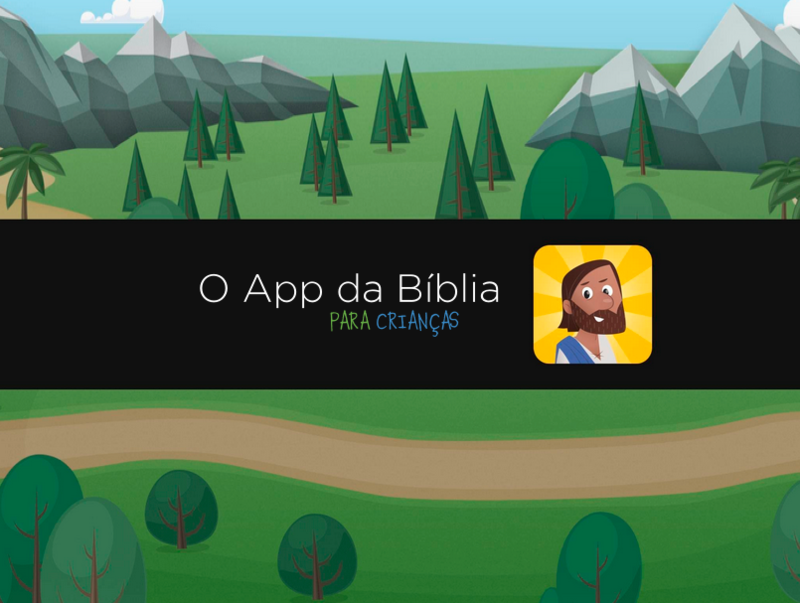 Now the Bible App for Kids Speaks Brazilian Portuguese, Too! Did you know: more than 200 million people all over the world speak Brazilian Portuguese? And ever since YouVersion added Brazilian Portuguese to the Bible App 3 years ago, millions of you have been actively participating in the worldwide YouVersion community. Now, through O App da Bíblia para Crianças, more children than ever before have the opportunity to enjoy a Bible experience all their own. All you need to do for your kids to experience the Bible App for Kids in Brazilian Portuguese is make sure you have the app installed. When you open the app, if the default language on your device is one of those supported: Brazilian Portuguese, English, Spanish, Chinese, and Korean, the audio will play in that language, and any text will appear in that language, too! If you have friends who speak Brazilian Portuguese, please share this great news with them! The Bible App for Kids is the newest app from YouVersion, makers of the Bible App™, designed to give children a delight-filled Bible experience all their own. Developed in partnership with OneHope, the Bible App for Kids has already been installed on almost 5 million Apple, Android, and Kindle devices, and the Bible App for Kids is always completely free.